Scientific Name: Rudbeckia hirta 'Prairie Sun'. 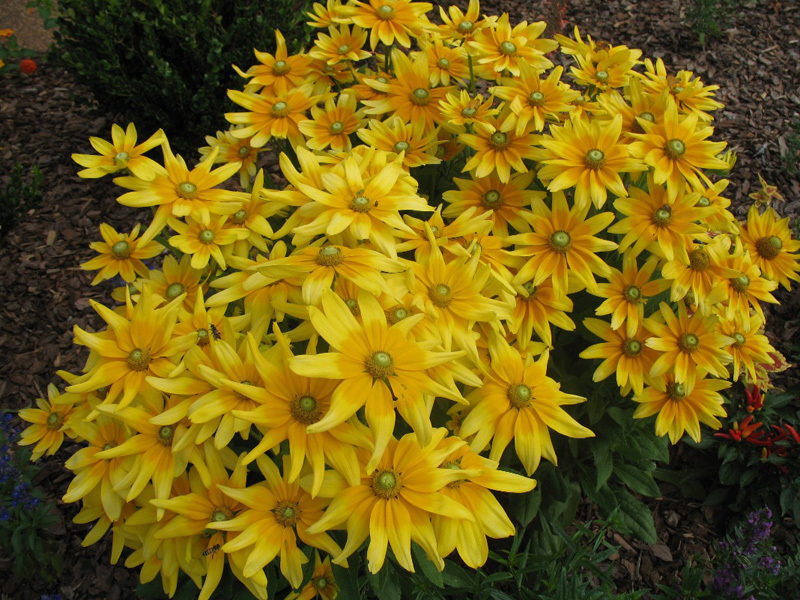 Comments: Tolerates hot, humid summers flowers the first year from seed if they are planted indoors in winter. Of course, nurseries will have plants for sale in early spring. It is muli-branched plants providing a mass of blooms for cutting from early summer until frost. Although an annual, it preforms best when grown as annual. Will reseed if not dead headed.